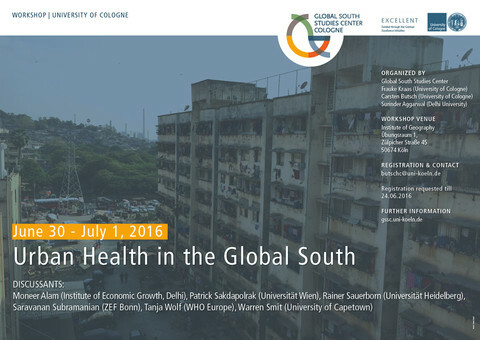 Urbanization is a defining phenomenon in the Global South and causing rapid social, economic, and health transitions. One crucial challenge in this regard is the effect of urbanization on human health. Going beyond the biomedical paradigm human health is a basic human need and essential aspect of “social and economic development”. The workshop will address the specific influences and risk factors of hyper urbanization on human health in the fast growing urban settlements. 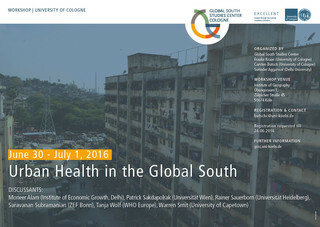 We also examine and understand multiple feedbacks between urbanization, health and development. Specifically, we will address neglected areas of urban health including healthcare systems, health policy and finance.